Thanksgiving is a time of giving Thanks by spending time with those special to them and eating a huge feast of a dinner which always include turkey and other items. And of course, there’s football where fans can watch 3 games of NFL teams battling it out. One of those teams were the Pittsburgh Steelers who played their first Thanksgiving game since 2012 and had a feast of their own on the Indianapolis Colts as they beat them 28-7 at Lucas Oil Stadium in Indianapolis. The Steelers made quick work of a Colts team that was missing Pro-Bowl QB Andrew Luck, who is still in concussion protocol. Instead, the Colts had to rely on backup QB Scott Tolzien, who made some plays, but it wasn’t enough to stop a Steelers team that was desperate for wins after suffering a 4-game losing streak a week ago, although they did end it vs. winless Cleveland on Sunday, this win got the Steelers back over .500 with a 6-5 record and returned them to first-place in the weakened AFC North. 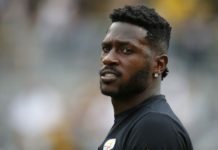 Based on the early playoff outlook, the Steelers know that if they want to make the playoffs for a 3rd straight season, they must win the division as they don’t qualify for a Wild Card spot. The key to this Steelers victory was the offense as they scored on their first 3 drives. Quarterback Ben Roethlisberger was flawless as he led the Steelers to an early 21-7 lead with 2 TD passes to WR Antonio Brown and a 5-yard TD run by RB Le’Veon Bell who had another stellar game with 120 yards rushing. The Colts only TD came when Tolzien found WR Donte Moncrief for a 5-yard TD pass that had closed the Steelers lead to 21-7 before the Steelers struck again, but that was as close as the Colts could get all night mostly because of the Steelers defense which shut down the Colts offense in the Red Zone twice at the goal-line. The Colts also missed a rare Adam Vinatiaeri FG late in the first quarter. It’s an understatement that those missed opportunities hurt the Colts. For the second straight game, the Steelers played inspired defense as they kept the pressure on Tolzien, sacking him 3 times and intercepting him twice. Apparently, Steelers defensive coordinator Keith Butler liked how the defense benefited from the blitz against the Browns Sunday as they sacked their QB’s 8 times, that he used that formula again as CB William Gay, 38-year old LB James Harrison and rookie DT Jason Hargrave got sacks and Gay and S Mike Mitchell got interceptions. The Steelers scored their final TD when Big Ben once again found Brown, this time for a 22-yard TD pass to extend their lead to 28-7 with over 5 minutes left in the 4th quarter. Brown finished with 5 catches for 97 yards and the 3 scores. Big Ben finished with 221 yards and the 3 TD passes. Their newest weapon, free agent TE LaDarius Green, had 2 key catches for 67 yards. On defense, Steelers Lawrence Timmons led the team with 10 tackles. For the Colts, who now fall to 5-6, Tolzien passed for 201 yards, a TD and the 2 INTs. The running game could do nothing against the Steelers D as they combined for 91 yards as a team. WR TY Hilton led the team with 54 yards on 3 catches before getting knocked out the game by Steelers S Mitchell. 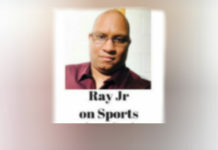 Ray’s Take: After the Steelers lost that dreadful game to the Dallas Cowboys almost 2 weeks ago, it was easy to think that they were done. After all, they had lost their 4th straight game and fell to 4-5, but I wasn’t one of those folks, because the Steelers aren’t known for long struggles and they have been known to fall so far, and bounce, which they did this week as they grabbed 2 wins to get back into playoff contention. And it gets me when folks complain about the AFC North Division being so weak. For the Steelers sake, they can be very grateful that it is. Other than that, who cares? The Steelers aren’t responsible for the Browns, Bengals and the Ravens until they play them. The play of Big Ben, Bell and Brown doesn’t surprise me, but it would be nice if they played like that the rest of the season. The defense however, did surprise me as they had that Blitzburg and Steel Curtain look for the second straight game. 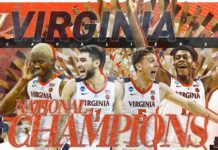 It’s doing wonders for the team, and I hope they keep it up because Defense Still Wins Championships. 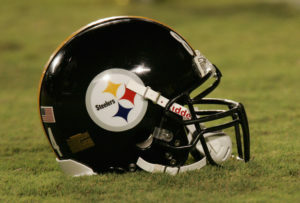 Next Up: The Steelers will play the NY Giants Sunday Dec 4th at 4:25pm at Heinz Field. This will be one of their strongest tests of their 2016 season.